Some morning, when you go into your cabinet to grab honey for your toast, you may find something thick and cloudy in the bottle where your liquid gold treat once was. Has your honey gone bad? Should you throw it out? The answer is probably not. Stored properly, honey can actually last several years. The main reason honey doesn’t go bad is because of its simple composition: honey is primarily sugar mixed with a little water. This natural, low-moisture state deters bacteria and yeast, both of which find dry environments inhospitable. However, the sugary substance’s inherent dryness can also lead to crystallization, the process that causes honey to become thick and cloudy. Crystallization, which can occur anywhere from a few weeks to a few months after honey has been bought, can be remedied by placing the honey container in a bowl of hot water for a few minutes. But be warned: While honey may naturally have a long shelf life, heating and cooling the spread too many times can cause it to lose its color and aroma, according to the Honey Hotline Fact Sheet. After multiple heating sessions, it’s probably best to throw the honey away. Several factors determine the time it will take honey to crystallize. First, there are the conditions of the room where the honey is stored. Hot conditions protect honey from crystallizing, but they also degrade the honey and make it vulnerable to yeast and bacteria. Temperatures that are too cold, however, can speed up crystallization. Honey resists crystallization best when kept in at about 70 degrees Fahrenheit, according to experts. Crystallization rate also depends on the type of honey you keep in your cabinet. There are over 300 types of honey sold in the U.S., according to foodreference.com, and each type crystallizes at a slightly different rate. Tupelo, a high fructose honey, for example, can last for years without crystallizing. Meanwhile, honey from cotton and dandelion blossoms crystallizes more readily. The last factor that affects crystallization is whether the honey purchased is raw, semi-processed (such as strained), or processed. There is evidence that when stored properly unprocessed or raw honey, which comes straight from the honeycomb and is slightly more expensive to the buyer, resists crystallization longer than processed honey. Keep in mind, however, that crystallization is not always a bad thing. 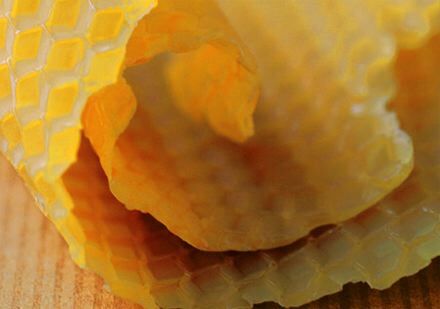 Beekeepers use a process called controlled crystallization to produce rich and creamy honeys, such as spun honey or churned honey, that are more “spreadable” than the common liquid form. Most beekeepers make these honeys using a variation of a process known as the Dyce Method. This process consists of combining alternating periods of heating and cooling with lots of stirring. If you’re feeling ambitious, it is possible to try out Dyce’s method at home. In the end, your choice of honey all depends on what you prioritize – flavor, consistency, or longevity. Just be aware that your choice could affect how long it takes for your honey to turn from smooth liquid into crystallized solid. From what I’ve found, the more processed the least likely it is to crystallize. My “raw” honey I just got from my two hives crystallized within in about 2 weeks, yet the stuff you find at grocery stores never tends to crystallize. JUST ONE QUESTION. ALMOST ALL THE HONEY I HAVE BOUGHT CRYSTALIZES QUICKLY IF PUT IN THE FRIDGE. QUESTIONL what about one that won’t crystalize >>>>????????? NEVERMIND I FOUND MY ANSWER RIGHT HERE. SORRY. VERY V ERY GOOD ARTICLE. THANK YOU. I purchase large quantities of honey when I see it on sale because I enjoy making mead. I find the really raw honey that has never been heated that contains pollen, propolis, honeycomb and live enzymes does not ferment. I have to either boil the mixture and scoop off the scum that floats similar to making chicken soup for it to work. That is the healthiest type of honey for human consumption because it contains natural pesticides, fungicides and is naturally antbacterial. Once you boil the honey to clarify it amd make it able to come out of a squeeze jar part of the natural barrier is broken down. I had five three pound bottles I used for my mead making last night that I bought from target a year after my five pound jar of really raw honey and they all crystalized so bad that I had to cut the tops off the bottles and scoop the contents even after a hot water soak for twenty minutes. Once I got the mixture out I set it in water on the stove at 140 degrees for 20 minutes. The crystals formed such clumps that I had to extend the. Heating and stirring an additional ten minutes. The pan that had the most crystals had the most clumpy frothy sticky floaties on it that I had to scoop out. Just by observation I can deduce that the cause was from impurities somehow. It could be the plastic container or a breakdown in natural defense… either way I wojld only conclude that honey is indefinite so long as it is stored in a container that won’t break down like glass, remains dry, dark and stored in it’s natural raw state. It can be logically concluded that putting honey in the sun to crystallize is doing it by feeding a living organism warmth and sunlight. The most likely culprits are naturally occuring yeasts. As many know, yeast can remain dormant for long periods of time in the store and at home when refrigerated. Once you heat it up to 105-120 degrees F and introduce sugar it comes to life. Make your own deductions, but the only way I use heated honey is to make alcohol. I only consume raw natural unheated honey. Introduction of water will lead to the sugar breaking down rather quickly. It should be noted that there are two main types of yeast strains. Lager yeast strains thrive in cold temperatures and is the reason why making sake and lagers does best between 45-58 degrees F and ale yeast between 60-76 degrees F. If you find it cystalizes in the fridge then you likely have tiny amounts of cold weather yeast or lager yeast in the container. If it thrivs in the warm sun then it is warm weather or ale yeast that is the commonly purchased yeast used for baking such as red star. I forgot to include that my three year old jar of really raw honey haz zero crystals. The two year old jars were almost solid with crystals before I ever opened the container. In my opinion the cause of this was from unsanitary conditions when bottling the honey. It is likely that the manufacturing company used a hose at some point to clean machines. That moisture along with sugar likely inoculated future batches. The only way to kill all invasive bacteria, yeast, molds and bugs is to pasturize the mixture. That means heating it above 140 degrees for 20 minutes or more. It also requires the container to be heated to the same temp. Since plastic melts I highly doubt that was done on the container. Also since honey burns rather easily I doubt it was pasturized. Long story short… there isn’t enough data to firmly conclude a cause. To air on the side of caution I will only purchase honey in glass containers in the future. My children did a science experiement with crystallizing honey. They had to add water to different containers of honey to see which one would crystallize first. They also put the containers in freezer and some in the fridge to help spead up the project. NOTHING HAPPENED. Should the pure honey (without water) crystallize first or one of the containers with water? I appreciate the in depth answer as that is what I was looking for. It seems to me my honey doesn’t crystalize if I don’t stick a spoon in it and only pour it onto the spoon. I’ll have to watch to see if that is an accurate statement. The only honey I’ve bought that never crystalized on me was tupelo honey from the Savannah Bee Co. Excellent honey. Was looking at honey as a leave-in hair conditioner and found this…. …..”What in de hell? My honey is in a bucket and it gets flies in it. Why do it do that? Somebody said that monkeys make honey and then they poop.”…..
I’ve never heard of honey going bad. In fact, they have found honey in the pyramids of Egypt and it was perfectly fine to eat; now that’s some 4000 + years ago! So for all intents and purposes, honey lasts forever. Unless you have contaminated your honey with something that can thrive in that sweet environment, don’t throw it out. Enjoy! PONCH, it could be concluded that there’s sufficient evidence you should retake English 101. Possibly Hooked-on-Phonics could remedy your illness. This way you can rest assured not to always “air” on the side of caution. did anyone answer why the ladies jar of honey smelled like urine.i have never had that happen but I would just like to know why hers smelled like urine.thanks.great web site. Thank you for this info. I thought the one that i bought from the local vendor is fake. she transferred the honey with its honey comb intact. when i put it inside the fridge,after a few days i found out that it crystallize.Well at least I know now that I was the one mistaken. This site was helpful. Thanks. It’s funny to see that no one has pointed out how honey actually can bad. Honey may ferment if left crystallized for too long. If your honey is turning a pale yellow in feathered streaks the it is fermenting and isn’t really salvageable unless it is a small amount you can scoop out. If your honey is like this just throw it away. Instead of heating the whole jar of crystallized honey, which can increase its deterioration as mentioned, just scoop out and heat as much as you will use in one sitting. That way the rest never goes through the heat/cool cycles. Simply heat a scoop or two in the microwave for a few seconds on low power. This is great information, I read once about honey found in an Egyptian tomb. The archaeologists ate their breakfast with it. I can only imagine that the honey was several thousand years old. I wanted to know if it may have crystallized. Thats really a nice and worthy post, this Stiglitz topic is very interesting. Keep it up with the good work, thanks for sharing this article. This year a friend had all his honey crystallize within a few weeks of extracting while I had none. I gave him one of my jars to take home and it is starting to crystallize. I was given a plastic container of honey comb from a bee keeper and it is now dry. I hadnt opened it at all. Can I resuscitate it at all? Honey consumers in my country (Australia) are very confused about the difference between the clear, liquid honey they normally find in supermarkets and candied, semi-solid honey. They may (mistakenly) think its just creamed honey. Or they may be more informed consumers, know that some raw honey turns into a relatively solid white hone6y quite quickly, and not be worried by it. Anyway, I’ve tried to deal with this topic at my honey blog (www.tastyhoney.com/blog, and would be delighted for any feed back. cool!!!!!!!!!!!!!!!!!!!!!!!!!!!!!!!!!!!!!!!!!!!!! im doing a sicence fair project on it. I love when my honey goes all crystallised and crunchy. I have a queue in my cupboard with a few bottles. New bottles go to the back and by the time they get to the front they are ready for me to use. Mine at work crystallized, so I put in under the car windshield for about four hours. Now it is completely runny again, like new. I won’t put in the microwave, after the plastic could melt and leach into the honey. It’s 90+ out there today (Mojave Desert) so hot enough to melt the product but hopefully not the plastic. I’m glad to have found this article. I bought a squeeze bottle of honey a few weeks ago. The weather took a turn for the cool, and the honey crystallized. In my opinion the hole in the cap of the squeeze bottle needs to be bigger, the better to squeeze out honey that’s begun to crystallize. It’d require cautious use before crystallization takes place, but in my opinion it’s the optimum solution. Here is a crusting burtetcream. It works well, but tastes nothing like Gretchen’s.2 lbs. powdered sugar1/3 to 1/2 cup warm water *2 teaspoon clear vanilla flavoring7/8 teaspoon near-colorless butter flavoring3/8 teaspoon popcorn (fine grain) salt if not available, omit salt1 lbs. (2 cups) shortening (Sweetex if possible Crisco will work.) Sweetex is a high-ratio shortening.Mixing Directions for All Icing Recipes AboveMeasure powdered sugar into mixing bowl.Pour water, clear vanilla, near-colorless butter flavoring, and popcorn salt over powdered sugar and let sit for 1-2 minutes. After sugar has settled some, add one-third of the shortening.Using the mixer’s beater/paddle (not wire whip), begin mixing on low speed until blended then turn mixer to medium speed and mix for 1-2 minutes. If icing forms a ring around the top of the bowl, it needs more water. Add more water a tablespoon at a time until no ring forms. (Icing will soften more also when the remainder of the shortening is added. )Scrape down bowl to remove any sugar residue on sides and bottom.Start mixing again on medium speed and continue to mix until icing is smooth** (with absolutely no lumps). TO TEST FOR LUMPS with mixer off, run finger through icing to feel for lumps. If lumps are found, continue to mix until lumps are gone. **It usually takes 2 or more minutes of mixing to achieve smooth icing, but mix as long as necessary during this stage to get theicing smooth. **Once the icing is smooth, add remaining two-thirds of shortening and beat at high speed for 2-3 minutes or until shortening is well mixed and volume has increased. If the icing is too firm for it’s intended use, add more water a tablespoon at a time.Do not overmix or icing will be soft and grainy.NOTE: When removing finished icing from mixing bowl, be sure to avoid scraping any c3a2€c5“heavy residuec3a2€c29d that may still beon the bottom or sides of the bowl. This will be lumpy and clog the decorating tips. * It may be necessary to increase or decrease the amount of water in the recipe depending on the relative humidity or the intended use of the icing. The icing should be firm enough to create the intended decorations. ** Before the remainder of the shortening is added, the icing may be mixed as long as necessary to get rid of sugar lumps (withmixer off, run finger through icing to check for lumps). Once the remaining shortening is added, the friction from overmixingwill breakdown (melt) the shortening and cause soft, grainy icing. Be sure to get rid of any lumps in the first mix. There are a few things not quite correct here. One – honey does not only last for several years, but it will last for an indefinite time. Honey was found in the pyramids, and although it was candied it could be warmed and was perfectly fine. The only honey that will ferment is honey that has been taken before it has been capped by the bees, which is basically nectar – which is one reason the beloved Flow Hive will not always work, because you can’t check how much is capped before taking honey. It’s not so much heating honey multiple times (think about bee hives that sit in the hot sun day after day), but it’s more if the honey is heated too hot or for too long, which will not decrease the life of the honey, but will merely kill the enzymes, or the goodness, in the honey. Another point is that raw honey actually goes candy much faster than “processed” honey. As part of the “processing”, beekeepers warm their honey in order to prevent it going candy, because if there is any candy at all in the honey, it will “set the crystalisation pattern” and send the whole lot candy very quickly. That’s why the honey is warmed, and then cannot be called raw honey. If not taken soon enough, honey will actually go candy in the honeycomb, before it is even taken from the hive. The other thing I wondered is what the picture is at the top. It is definitely not honeycomb – maybe a wax sheet before the bees have drawn it out??? Loved this article, and all the comments and replies. Saved me from throwing away some A-grade top choice bee syrup I got from a farmer. However, the best comment was about the picture. Definitely wax. People keep saying the really raw honey won;t ferment, however I was able to ferment honey from my local bee keeper into mead just fine, and unless he is Lying to me, he only strains his honey, does not heat it. As I understand it, any Honey (capped or not) will ferment once introduced to water. Honey will only not ferment in its pure undiluted state. my dog is diabetic so i carry runny honey in my bag but it keeps going hard. Received a glass jar of almond honey from my sister in California, it was solid and not knowing much about honey I was unsure about its usefulness. I’m in Florida and it’s hot here, some of the honey at the top has melted. It is still sitting in the cabinet unused. Enjoyed the comments. Hello. What I am about to tell you is the truth and I came here seeking answers on how long Honey can be stored. The other day I was given two…well not given, I asked my nephew to send me two 1.2kg bottles of Honey. When I opened it up it gave of a fermented sugar odour bordering on alchololic. The first 2cm was a very thin dark brown liquid and below that was a crystalised ball of what can only be called lump of sugar. Now I had heard that honey can keep for 100 years so I asked my Nephew “hold is this honey’? This batch was 18-20 years old he replied on messenger. So not holding back. I took a knife…Dipped it in the honey and ate it. Oh my god.. I made some toast, slapped on some butter and proceeded dip my knife into the top layer again and wiped it on my toast and ate it. Now these jars had been sealed and boxed and stored away so I didn’t think anything bad was going to happen. 6 pieces of toast later… It didn’t. And what did the Honey taste like? Like nectar. The Honey? Rewarewa (Honey Suckle) Aged 18-20 years. Colour; Amber brown. Viscosity; of maple syrup (even after 20 years albeit with 60% cyrstalisation) Flavour; A Sweetness that disperses into a malty honey flavour. NoW I have to state that I have not reconstituted it. Prefering to taste the liquid separate from the cyrstals. And yes I slapped the crystals on the a slice of bread and got a more intense sugary taste. Right here and now I have to state…. the taste is deeply deeply moorish. To the point that I am sitting here dipping my little finger into the jar and sucking on it. I came here looking for information on how long can honey last? Well if it’s pure? Indefinitely. Oh sorry…Me again. Just an addendum to my last comment. If you have ever tasted Royal Jelly! and I have. That’s is what the “sweetness” part of 20 year old Honey tastes like. A greek friend of mine years ago told me the reason honey goes to a crystalline was because too much moisture in the honey. He said there was a honey i. Greece that came from the mountain , you could put it in the freezer and it would not go hard . I went to the specialty store he told me about to purchase a small bottle which was twice the cost of the regular honey and i put it in my freezer when i got home and the next day it was still in liquid form. This greek friend of mine was a farmer back in greece, he said the honey bees in the mountain where this honey came from were skinny because it was very dry in the mountain but the honey heed in the valley were very fat because there was a lot of moisture so their honey crystalized . So now i hear that water in the honey helps keep it in a liquid ?? I don’t know only what my greek farmer friend said seemed to make sense at the time but i can’t talk to him anymore he passed away a few years ago amen. John Pavich, your late friend was correct. The type of prevalent sugar in the honey also matters. I believe honey with a high glucose content crystallizes more quickly than honey with high fructose, so the water content, the type of sugar and the temperature its stored at all make a difference. Cold precipitates crystallization. People who make honey know how to manipulate temperature (sometimes vacillating cold and heat) to cream or candy honey to their liking. I love candied Tasmanian Leatherwood Honey. Can’t believe I’m writing again, but in response to the person who transferred some of their honey to a smaller bottle (and that honey crystallized), possibly one of two things happened. Either the small jar in use was exposed to more sunlight, or a lighter solution was on top and was transferred to the smaller squeeze bottle. Much store-bought honey is impure. I don’t recall if the smaller jar was more porous (different material), but that too would have an effect. And the honey that smells like piss, if it’s raw and real, probably the flower source. I’ve smelled some weird honey.